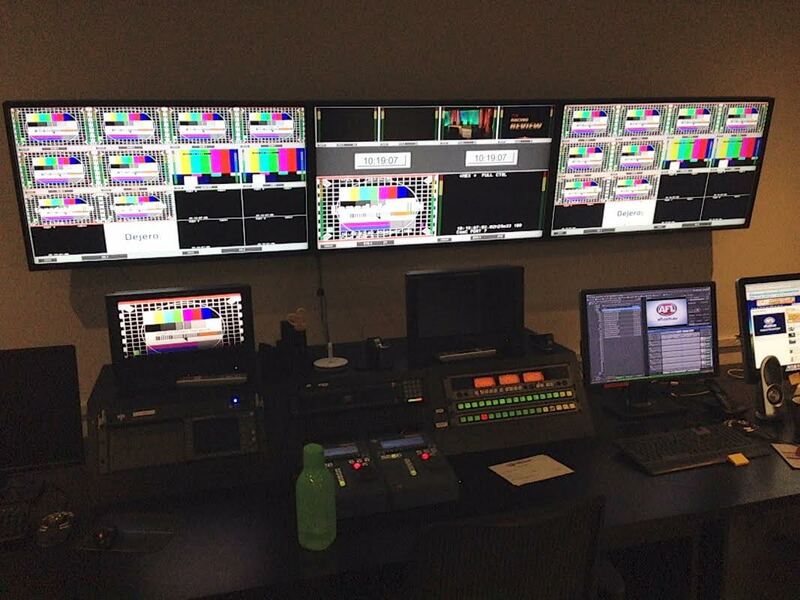 In just three years AFL Media has come from nowhere to become the biggest sports platform in the country. Alex Hayes sat down with general manager Peter Campbell and head of commercial Matt Connell to talk about the evolution of the brand. Last December the 116 full-time staff of AFL Media won the right to collectively negotiate with their employer over pay and conditions. That sounds pretty dull, but it was actually a landmark ruling from the Fair Work Ombudsman for two reasons. Firstly it paved the way for other online news outlets to fall under these kind of agreements. Secondly, it announced the AFL as a proper media organisation which employs independent journalists. And at least 1.9m Australians seem to agree. 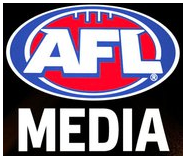 The AFL had tried to claim the employees were communications personnel, but the employees and the Media, Entertainment and Arts Alliance, maintained they were fully independent journalists operating the code’s suite of products which range from the match day magazine The AFL Record to its increasingly popular websites, and producing a range of video content for its own use and that of its sponsors. That position was vindicated in December’s ruling, which may ultimately end up being a boon to the credibility of the organisation. Not bad for an organisation which has only been around for three years – founded from the unprecedented rights deal signed in mid-2012, as a way to produce compelling content for headline partner Telstra. Whilst the sites are run and maintained from the Melbourne AFL headquarters, the advertising inventory on them belongs to the telco, and technically sits under its suit of web assets. When you see the facilities of the outfit, which take up the ground floor in the Docklands HQ of Australia’s biggest sporting code, it’s clear this isn’t just an in house communications function as we’d normally know it. 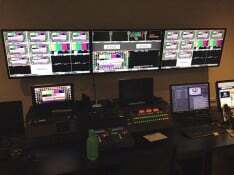 Professional TV studios, several rooms filled with post-editing equipment for audio and visual streams, a fully operational media archive, and a news room that looks like, well, a news room. That last part is a source of pride for AFL Media general manager Peter Campbell, who has seen first hand how the scepticism of the fans about the AFL reporting on the AFL has dissipated – and the website visitors have increased as a result, especially in an era where the game has faced unprecedented challenges with the ongoing ASADA and Essendon doping scandal. “We’re probably harder on ourselves than the supporters are – and I think that’s because we have demonstrated now that that’s not a conflict,” Says Campbell. “The editorial staff are charged and have a code of conduct with how they present their stories – they’ve got to be right, and they are there to report on the game. “Ultimately the supporters will see through it if it’s not. The editorial staff don’t work to a direction of let’s paint this in a rosy glow. Even the most challenging of stories like the Essendon situation our staff are charged with only one thing with that, which is report it correctly. If we try and put a gloss on it they will see through that. And those numbers are revealing. While you might expect season-on-season growth for the web assets – which were up 14 per cent last season – it’s the off season which has seen fans coming back. January was up 70 per cent, and December 63 per cent year on year. The biggest month so far was last August – as the league moved into finals season, with a unique audience of 1.9m according to Nielsen numbers. As Campbell notes it makes the site the “number one sports platform in the country”. To put them into context, its competitive set in traditional media in AFL’s heartland of Melbourne – News Corp’s Herald Sun and Fairfax’s The Age – had 1.7m and 1.9m uniques in the same month across their entire sites, not just sports or AFL coverage. But Campbell doesn’t see the organisation as stealing audience from those mastheads, instead saying it has “grown the pie so more people are consuming the game – that’s a terrific thing”. Those Nielsen numbers, however, don’t take into account the increasingly popular AFL apps, with 3.9m downloads of the official, Fantasy Footy and club apps across various devices. However, Campbell isn’t getting carried away about those numbers. acknowledging that when someone changes a handset and downloads the app again, it is counted in that. He says “more and more people” are looking to the app for content because of the utility it offers. Whilst it is a free app, users also have the potential to stream live games to their mobile devices by signing up to a premium tier, with those rights held by Telstra. The apps are also engineered by Telstra, which provides technical support for the operation. With those registrations comes data, with 500,000 people opted in to receive weekly AFL EDMs, the sort of qualified database most marketers would kill for. Then there’s video, an increasingly large focus for the team under Campbell, who moved across to run AFL Media in May 2013 from Foxtel, where he spent 14 years as director of sports and Olympic Games at the pay-TV operator. “Video is part of my background and it continues to grow. The aim is to make good content and get it out there in a timely fashion,” he says. And it’s clear there is a focus on video delivery outside of game day. The press conference room is right next door to the newsroom, with remote cameras embedded in it to stream them live to the platform, and syndicate them with other news outlets. Across the hall is a fully functional TV studio which can be activated at a moment’s notice to broadcast breaking news bulletins, live or pre-recorded interviews, as well as regular weekly shows. Campbell says it averaged more than 2m video streams per week last season, and over 100m streams across all its platforms during the season. While video is playing an important role editorially – with the team also using Twitter’s Snappy TV platform to circulate game highlights in real time as well as snippets of interviews and other video, it is also essential to monetise the site. AFL Media head of commercial Matt Connell pointed to the ‘Home ground’ series by British Paints – with players showing off their homes which had recently been renovated – as an example of how demand for bespoke brand funded content was increasing. “Where we’re really growing and demand is coming is brand funded content,” he says. “We’ve had examples where we’ve collaborated based on a brief from a partner, for example British Paints wanted to develop template on our platform, the British Paints Home Ground series. “It was produced in collaboration with them but was ultimately presented as part of a content suite and gave fans a look into the homes of AFL players that had recently been renovated and that had a nice linkage back to British Paints as a brand. One example is Virgin Australia’s new two-and-a-half minute video about the life of Gary Ablett Jr, which has been released in time for the season launch and will be hosted on the airline’s Facebook page, and shown by Channel Seven during the season opener between Carlton and Richmond. However, general manager Peter Campbell was cautious about adding native content into the print side of the editorial offering, saying: “We’ve not delved into native in the form of articles and text, that’s not really a space we see ourselves playing in. Whilst it is mainly sponsors of the code which participate in the content and advertising on the site, it is not actually included in the sponsorship packages and is sold above and beyond those. Advertising is sold by sales house MCN, which represents Telstra’s digital assets. The code is also looking to its social media assets as a way to monetise, experimenting with ways to use its 346,000 followers on the @AFL Twitter handle and 661,000 Facebook likes. To that end it engaged fans through the finals series last year with an extension to its ‘Don’t Go Quietly’ campaign on the platform, encouraging fans to show their support on their timelines. However, sales boss Connell admitted they were having to tread carefully when it comes to using those platforms to amplify partner messages: “Our fans are probably the most opinionated fans in the country and if they smell a rat they’re pretty cluey, so in terms of our voice on that platform it’s really important. It’s no different to the challenge we face with some perceptions in terms of how we present editorial content. “That’s something we reinforce with our partners because there is a negative outcome neither us nor the brand wants. We’ve learnt best practice in terms of doing a joint campaign with partners and delivering something of value back to those fans. Snappy TV is also used by the brand to push out partner messages, with Connell claiming 3.6m off-network video streams per month at the height of last season. Editorially the brand has also used things like Twitter takeovers – allowing fans to interview team coaches on the micro-blogging site – to push engagement with fans, gain followers and ultimately more traffic to the website. It also looks to players with social media followings to help elevate the game, although Campbell admits not all are willing to take the plunge into the sometimes volatile world of social engagement. The AFL’s matchday magazine, the AFL Record, has been going for 104 years, originally published as the Football record. In that time it has had just a dozen passionate editors, but has remained relatively unchanged in format, covering regular columns as well as content relevant to the particular game it is being sold at. February’s audit figures showed the magazine recording a whopping 34 per cent rise in circulation numbers, with 28,196 copies being sold on average in the last quarter of 2014. However, Connell admits whilst the property remains strong, that huge leap was largely due to the brand now counting corporate sales with matchday entertainment packages in the figures. Despite that he says “we’re pretty proud of the results”. Various extensions of the brand, such as season guides, kids editions and fantasy league extensions, have also been rolled out in recent years to keep fans engaged. Campbell describes it as a “hero brand” for the AFL, adding “people love nothing more than sitting at the game and ticking down who’s kicked a goal and who hasn’t,” referring to the score chart incorporated into each edition. A less well-known facet of the offering is the in-house creative agency which has been built out over the last three years, and now pitches for and creates work for sponsors such as Gatorade, as well as assets for clubs to use in promotions. As well as TVCs for the likes of Gatorade it also created this year’s NAB Challenge promotional campaign, as well as assignments for the Cricket Australia and the Australian Open tennis. All its jobs are paid above and beyond existing commercial deals. The division also employs its own photographers and holds the copyright to thousands of images of players and match-day action, and invests a lot of time in tagging and cataloguing images for use by the design and editorial teams. Could AFL Media retain game day rights? “The first one is working with our digital rights partner in supporting their rights acquisition,” he adds. “Number two is to talk about the game in making it easy for fans to find information about the game and how they participate. The next round of rights negotiations are hotting up in earnest as various media companies line up to battle it out for a bigger share of the matches, with a $2bn pricetag being floated for the next five-year set of rights. Among the speculation has been rumours the AFL could look to keep the digital rights for itself, rather than sell them to a company like Telstra, and look to monetise them directly as the burgeoning demand and infrastructure around mobile content improves. However, Campbell, a seasoned rights negotiator in his own career, would not be drawn on that, saying diplomatically: “I wouldn’t comment on where the rights are going to go or not. “We’ve got some wonderful partners currently with us, Seven, Fox Sports and Tesltra, and have had a great relationship with Nine and Ten as well as the current three. The next five to seven years will be interesting . Our business is about how we serve supporters and give them what they want. as well as how we serve our corporate partners. He described the recent English Premier League rights deal, which saw TV networks pay $10bn for four years as a “heroic” figure, which showed the increasing importance of live sport to linear TV platforms. Looking forward to all games being broadcast in High Definition. In 10 years, we will be buying the majority of games coverage direct from the AFL, Excepting legislated games and some commercial channel offcuts. The AFL are a smart organisation. Please tread lightly between profit and community.